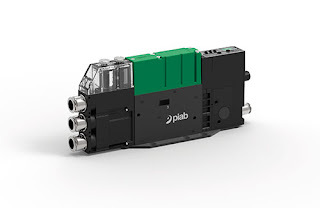 Products in the piCOMPACT® range are ideal for robot handling systems. Depending on what you do, there is a piCCOMPACT product ideal for you. If this is your industry: Smaller vacuum systems, such as removal of small plastic parts from molds with cups and pick-and-place of electronic components, including electronics, semiconductors & packaging. Medium or larger vacuum systems, such as palletizing of boxes, sorting, sheet metal press-to-press transfer and loading/unloading of different sheet materials. Your FPE solution specialist can help. Drop us a line! For the first time ever FPE Automation welcomes Cognex and Panasonic for a special event. Spend the day immersed in live demos and informative sessions with the experts. Featuring Cognex handheld and fixed mount readers and Panasonic laser markers. Enjoy free giveaways and a delicious lunch. It doesn’t end there. Take away long-term benefits. Bring in examples of what you’d like marked and read. Attend our application Q&A session after the presentations. Panasonic’s specialists will take your samples back to their laser marking lab and prepare you a custom, comprehensive report tailored to your organization. Don’t miss this opportunity to leverage some of the world’s top expertise in the field and put it to work for you! Download/view Mark it. Read it. Event flyer in PDF format (50 kb). Attendance is limited. In order to ensure that every guest receives individual attention from experts, we're presenting this as a private event, not open to the general public. If you have an account with FPE Automation, feel free to register! If you don't, please contact us to attend. In this live demonstration, FPE Automation's sales manager, Scott Massie shows air usage savings of 17.7% to 64.9%. Scott uses an air reservoir pre-charged to around 85 PSI, a double-acting Bimba cylinder, a MAC valve stack, an Omron PLC and touch screen linked with a pressure transducer on the air tank. The cylinder runs in full pressure extend full pressure retract vs. 20 PSI retract. The results are impressive. Interested? Contact FPE.